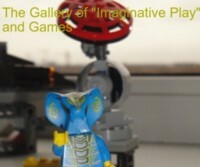 Three months passed from the moment of the first review of The Gallery of Imaginative Play and Games (the Gallery is here). Participants (22 projects) of the first competition received their certificates and gifts: Nadezda, Anna, Jeanne, many thanks for your messages! Participants who have no blogs also expressed gratitude for the received presents. Ksyusha - the first winner of the Gallery - recently celebrated her second Birthday. So, I want to wish health, new interesting games, and projects! During these three months, the number of projects has grown from 22 to 80. The number of visits to the Gallery is more than 2500 (from Russia and from more than forty different countries). I want to thank all constant and new participants! You make the Gallery unique, develop the understanding of "the imaginative play"; you support the children's fantasy and imagination. So, I am writing the second review of the Gallery with the great pleasure. I hope that it will inspire and attract new participants, and the Gallery will continue to exist and grow. 23. The fairy-tale about a snowman who wanted to celebrate a New Year holiday. 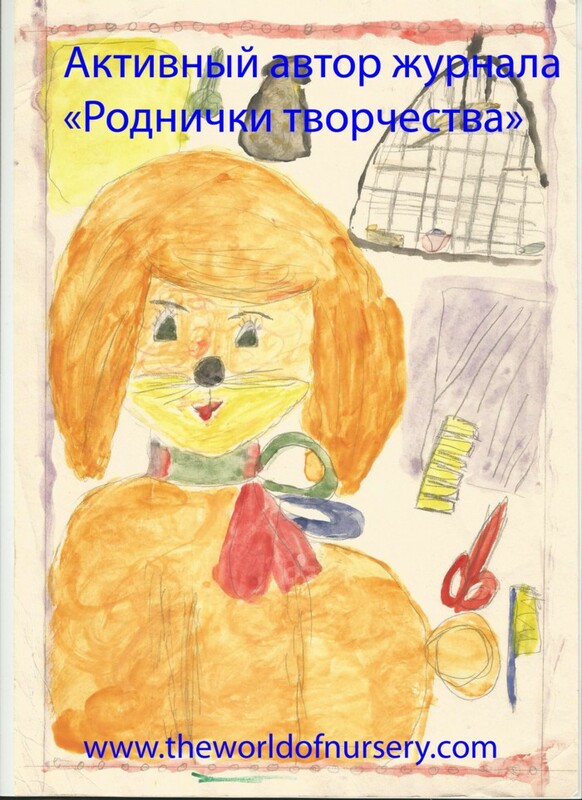 This book was written and illustrated by children: they dictated the text of the fairy tale to the tutor, they imagined and painted the main heroes. Adults had only to print pages, to make of them a book, and also to help to organise the place for play according to this book. Such kind of activity allows to develop the imagination of preschool children and to support learning through play: to think up the story, to draw heroes, to make the main personages of the fairy tale, - the children must demonstrate their creativity. This combination of play and learning may support the aspiration of children to do something new. Such experience can affect a further desire of some children to write stories and fairy tales, to paint pictures, etc. 25. Theatre with the using of spoons "Amusing snowmen". The toy snowmen made of plastic spoons became the real material for the game "theatre". Children can create the whole theatre performances, and they also can use these snowmen in the individual play. It is easy to repeat the creation of such snowmen at home. The children will understand that it is possible to transform the simple things into the real toys for the realisation of the different ideas. 37. Theatre according to the favourite fairy tales: children have painted fairytale personages, they have made of pictures the heroes of small theatre and have begun play. This practice is a good reason to think about fairy tales, which children read; it is the opportunity to continue the history and to change something in it. 40, 51, 65: game "Ice-cream"; game "Bakers"; game "Supermarket". Such material as snow allowed to make ice cream and cakes. And water has easily turned into "ice goods" for the supermarket. Such games are necessary for preschool children since they learn to interact with each other, to understand people and the features of the interaction between people. Children also can prepare and think of an own plot of a game. 75. "Tulips for the mother" - this project tells about children who made these spring flowers from the children's constructor and sticks for calculating. The imagination was again used in this activity. Vladimir from St. Petersburg, Russia (number 24) has decided to continue the participation in the Gallery of Imaginative Play and Games and has sent the arts and crafts things and drawings which he thinks out by himself, and also in the kindergarten or at home together with his mum. Vladimir has already several folders with his arts and crafts things which include imaginative personages, etc. : thus, he is preparing for school, thus, he is also playing, thinking out something new (with the using of different materials and techniques). Svetlana (Mytishchi, the Moscow region, Russia, the blog "Modern English Teacher", the project number 26) decided to add the article about drawing of her little son. The pictures drawn by the child is the part of his/her inner world, it is a self-expression. When the child (even very young) is drawing, he/she is imagining something. For the child, it is both a learning and play at the same time (especially if this activity isn't restricted, as Svetlana wrote in her article). 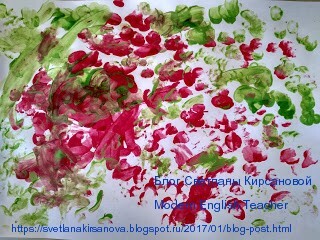 Photo from the blog "Modern English Teacher"
Nadezda and Ksyusha (Podolsk, the Moscow region, Russia, the blog "Vidumshiza" continue to participate in the Gallery. They are adding new and new interesting projects (number 27, 28, 59, 66). 27. 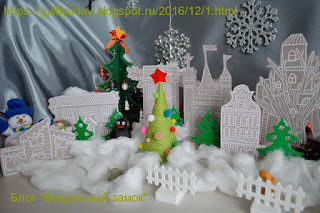 Nadezda and Ksyusha shared the article about toys which they made by a New Year. For the child it is the whole adventure when he/she is attracted to such kind of activity: to make some necessary things for the house, to make toys, etc. 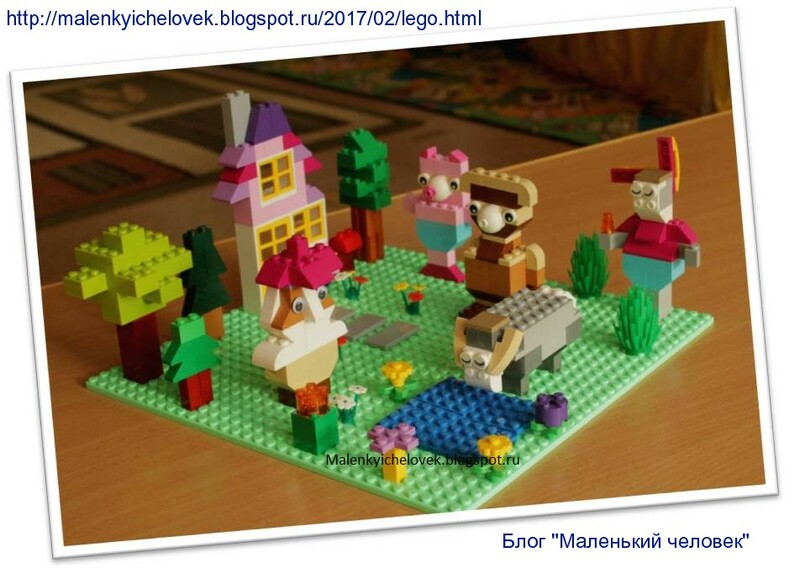 Toys are made of simple materials: Nadezda (with her great imagination) shows to the daughter how it is possible to make very nice products from daily things. 28. Project "Winter entertainments" shows how to make small fishes in moulds and to collect "pearls" from beads, how to make "the real blizzard" and to create the magic picture. In all these games Ksyusha gets acquainted with different materials and their properties. 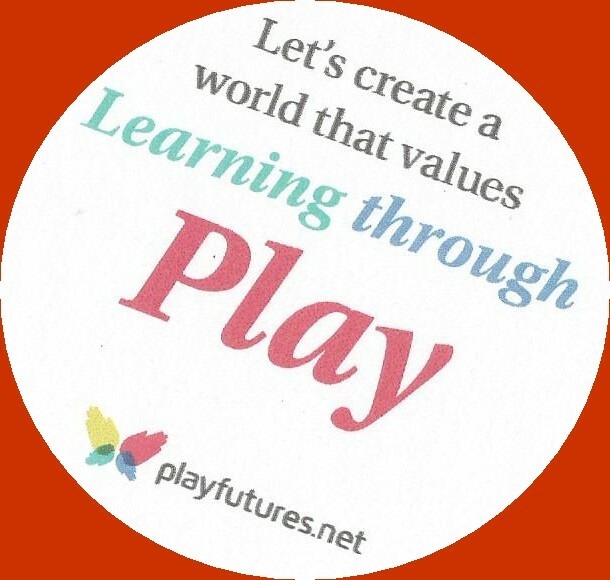 It is the real learning through play! The photo from the blog "Vidumshiza"
Project number 59 contains the adventures with a cardboard box. This simple material gives a lot of opportunities for the creativity and imagination. It is possible to study geometrical figures, to play with a mosaic, to draw different characters! Gulfiya (Ufa, Bashkortostan, the blog "Vozdushnii Zamok"), projects 29, 30, 31) wrote about the games according to the book: the child solved different tasks (from the book) and helped the main heroes. 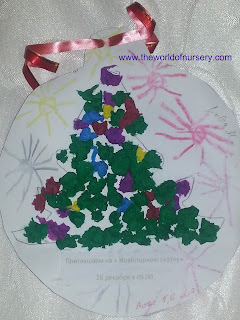 The child decorated a Christmas tree, he made drinks and cookies, parallelly studying properties of ingredients, etc. Such game according to the book became so fascinating that the child performed all tasks with a great pleasure, trying to make everything correctly. The most important in this play that child acquired new information in such easy and interesting form. Photo from the blog "Vozdushniy Zamok"
Oksana Stohl, Kemerovo, Russia (the blog "Belochka"/ project 32)) shared the games "Small Squares" and "Candies": simple games inspire children to use the imagination. To feel and to understand what small fabric squares contain, to hear identical sounds from candies are the tasks both difficult and interesting at the same time. These games develop memory, attention, fantasy, etc. 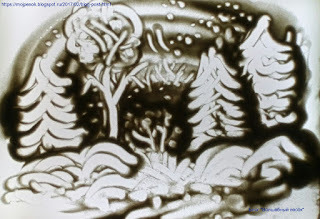 Photo from the blog "Belochka"
Elena Ishimova, Chelyabinsk, Russia, the blog "Pesochnii Fantasii" (projects 33,34,35,36,41,49,52) tells about the lessons in her studio (sand painting). Sand - one of the best materials for creativity. It is necessary to mark a special approach of Elena Valeryevna to lessons: an interesting story and different games at the beginnings of lessons allow to provoke the interest of even very young children. 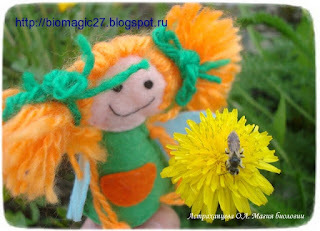 Photo from the blog "Pesochnit Fantasii"
an eco-constructor (number 80) - a simple material (sticks, etc.) gives the chance to construct something, to imagine and to make arts and crafts things. In many scientific articles and blogs, there is a point of view that such material is one of the best materials for children's play activity. Natalia Perepelko, Chelyabinsk, Russia, the blog "Detki-Konfetki"
- and even in the competition under the title "Mother, Father and I are the Touristic Family" (79) (why not: when children are climbing trees and turnstiles or walking with parents in the wood, etc., they are imagining themselves heroes). Natalia describes the master-classes ("Brownie Kuzya", "A Fantastic Tea Drinking"). Such master-classes help children to make familiar and favourite heroes. Jeanne Shaydarova, Yuzhno-Sakhalinsk, Russia, the blog "Ni minuti pokoya") (projects 39,45,63,68,73) continues the participation in The Gallery of Imaginative Play and Games. 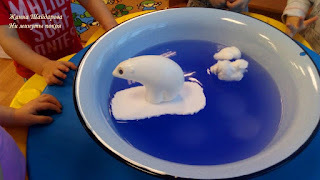 In her work she prefers to use the learning through play - this fact allows her to involve young children in the different activities, to show them something new (a complex lesson "Fir-tree" (39), the travelling to the North Pole (45), the lessons "Snowman" (63) and "What do the sparrows sing?"(68). At these lessons, when children play and learn, they can help someone (39, 63), they can "fly in the form of aeroplanes" (45), they turn prints of feet into birdies (68). In the form of play, children do gymnastics, draw, meet with the different materials: snow, water, plumelets, etc. Handmade crafts from improvised materials (l73), exhibitions where drawings of all children participate, help to turn the study into the real adventure for children. 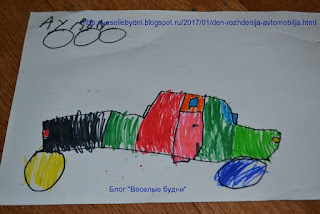 Photo from the blog "Ni Minuti Pokoya"
Anna, Minsk, Belarus, the blog Veselie budni' (projects 42,43,60,62) shares the play and games of her children (like "Birthday of the Car" (42), the board games made by the children (43)). A large number of the interesting facts is learned by children about automobiles (history, models, etc.) The games made by children can become favourite because it is possible to change the rules and to invent something new every time you play. I also want to write about games according to the books (part 1 and part 2, the project 60, 62): such games help to make reading fascinating, inspire children to think of different things, to make own experiments, to try to do something. Especially it is useful when such activity is connected with geography, physics and other sciences. Valentina Gureva, Petrozavodsk, Russia, the blog "Volshebniy Pesok" (46,47,48,50,53) tells about the everyday life of a sand studio. At the lessons Valentina uses different techniques: to tell children the poem, to let the children listen to the appropriate music or to watch the movie. All of these provoke children to dream and draw. To observe the development of this blog is fascinating: what else will be drawn by the children, what will Valentina think out? And the results of creativity of children are great. Photo from the blog "Volshebnii Pesok"
57. Composition from the children's constructor - a favourite animated film "Winnie-the-Pooh" shows how children created the heroes of the book and the animated film. Such construction develops the imagination, gives the chance to children to make the main heroes. Especially valuably in the project is the fact that there were no schemes for the main personages. The children made Winnie-the-Pooh, rabbit, and other personages without instructions. It is very valuable experience for preschool children. 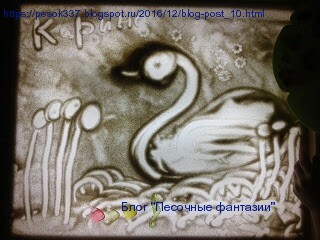 Photo from the blog "Malenkiy Chelovek"
76. The project "In the City of Our Childhood" tells how children built the whole city, added the most necessary objects. Such game is one of the most favourite games of children: the invention of the whole spaces, the play with various objects help to develop the imagination and to study, to think about a possible life of people in the built city. Svetlana Krugovaya (project 67), Chita, Zabaykalsky Krai, Russia, the blog of the tutor Krugovoy Svetlani Vadimovni, participated in the Gallery of Imaginative Play and Games with her article about a geocaching (search of a treasure). Children and parents meet with different obstacles to find treasures of pirates, feeling a "good" risk. Svetlana emphasised that it is possible to be engaged in a geocaching in the kindergarten. 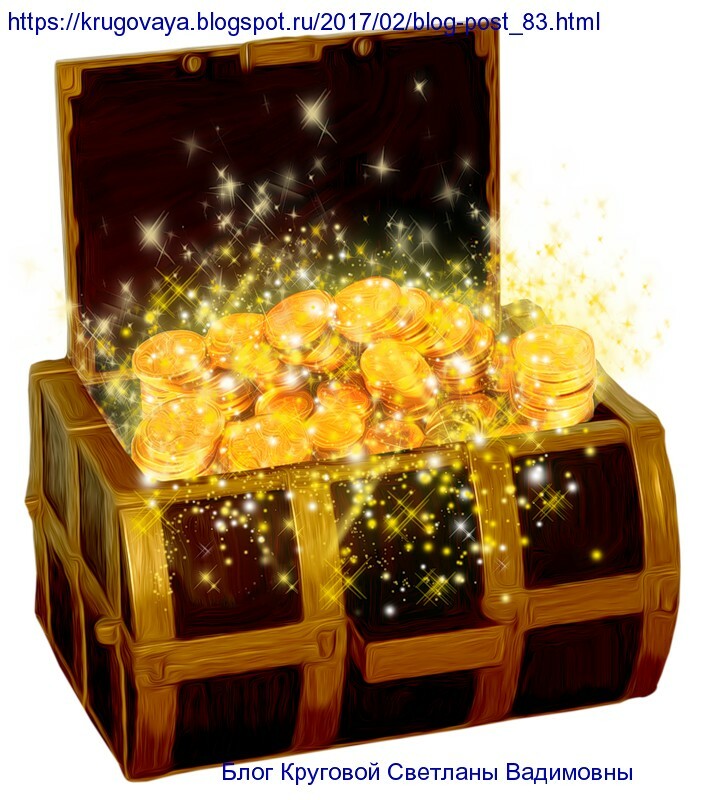 To find a treasure, it is necessary to do physical exercises, to make simple things, etc. All of these can be done with a great pleasure in the form of a holiday. 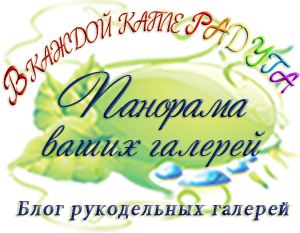 Astrakhantseva Olga, Ust-Kamenogorsk, Kazakhstan, the blog "Magiya Biologii" (projects 69,70, 74, 78) transforms biology into the exciting science both for children and for adults (this fact can be noted in the comments to each message). Olga by means of play tells about different natural phenomena (for example, about the symmetry of a flower(74)), answers questions of children ("How do insects turn the head? "(70), organises the whole meetings and the play sketches with her dolls, fairies and other heroes (made by her) to answer questions ("What are the features of the nettle?"(78)). Olga shares the great biological ideas with adults and children (a top of 10 spring ideas (69), for example). It is the real learning of biology through play technologies. Thanks to it, this science becomes not dull and very fascinating. I want to remind that all projects automatically become participants of the competition at the end of the calendar year! We wait for the new projects!